This idea was inspired by our joy of cooking and eating with friends, and how we could make those moments happen in an easier way. College students want to save money and make friends. Having dinner parties accomplishes these goals. Dinner parties are fun but organizing it can be frustrating. Who's going to bring the carrots? What about the chicken? Your friend just asked if you guys needed onions, but you already have some. Crap, you forgot to tell Liz to buy the wine. Some issues hosts would run into is that people forget what they're supposed to bring; miscommunication can lead to surplus ingredients; and sifting through group chats in order to plan who's bringing what is inefficient. With DinnR, the process of planning a dinner party is simpler. Whether it's a potluck or a cooking sesh, our application streamlines the planning process of dinner parties. We built our app using HTML and CSS, with some Python. We went through many challenges. The main challenges were the gap between cementing our idea and then the implementation. To be honest, this was an incredibly grueling process for all of us. But the appearance of new bugs and the collective confusion when didn't know what went wrong... Those were the worst. We ended up scrapping a Python aspect of our app because it ended up not working at the end plus it scrambled some other code. Something we're proud of is our success in creating a well-functioning workflow with our application. We were able to fix troublesome bugs by using the skillsets of each other. Additionally, a majority of our team were first-time Hackathon attendees. Almost half of the team had little to no coding experience. We learned that it's crucial for everyone to have a clear understanding of what they're tasked with. Without an idea of what their responsibility is, it's easy for teammates to get lost through the Hackathon process. We also learned that it's okay to pivot and scrap something we worked hard on instead of continuing to find a fix when there's a time crunch. I think we should've learned the basics of how GitHub worked and its commands so we could work more efficiently without sometimes overriding each other's progress. 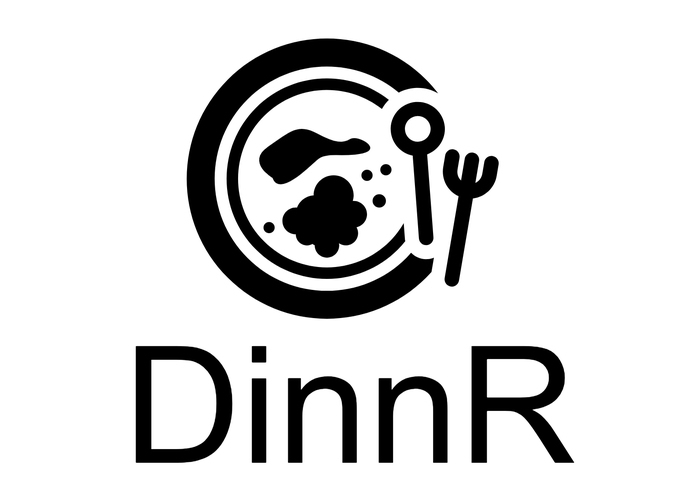 The next step for DinnR is to incorporate a more dynamic connection of databases into how our app flows. We also would like to improve our UI as well in terms of increasing scalability. We also want to fix our Python database issue so we can show off that feature we spent hours on. Originated DinnR concept and designed the workflow for the team. Worked on Front End with HTML and CSS. Helped develop and design the 3rd, 4th and final part of the demo which included a toggle on/off function. I also pitched our project!